Red Monkey Sports sent us a set of their Silicone grips to try, along with their tubeless tire sealant. We’re giving the tire sealant a bit more time, to see if it dries up prematurely, or if it holds up over the long run better than most. 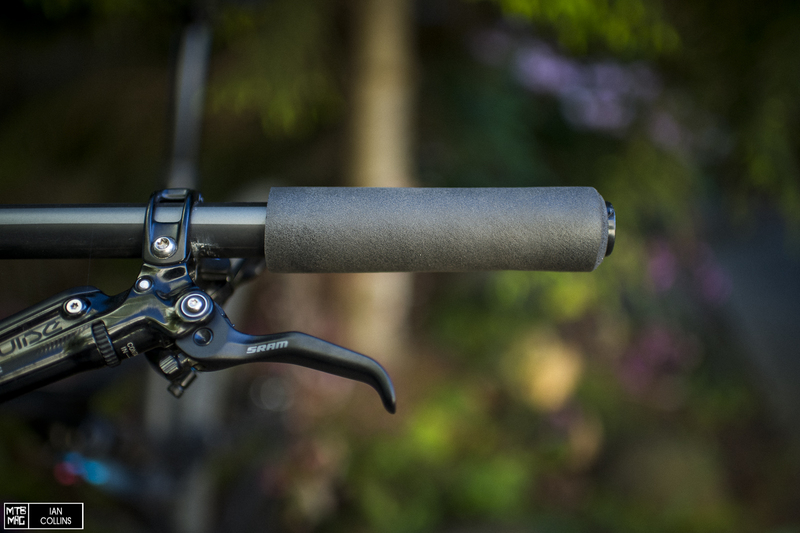 Anyhow, back to grips – I’ve never ridden foam grips before, so I picked the mid-sized 6.5mm grips as it was a fairly average option, but would still likely allow me to get a feel for them…no pun. As you can see in the picture above, at 32mm, the mid sized grips are rather thick. 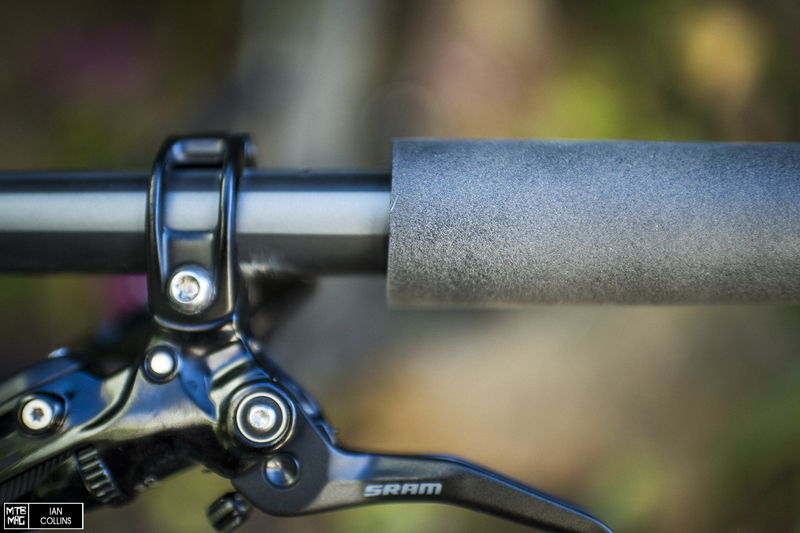 The idea is that the Silicone foam takes the edge off and absorbs small chatter on the trail. The inboard edge is a hard 90º. At 133mm wide, the KÄRV grips come in at a pretty standard width, giving some room on the inside and outside, even if you have pretty big hands. 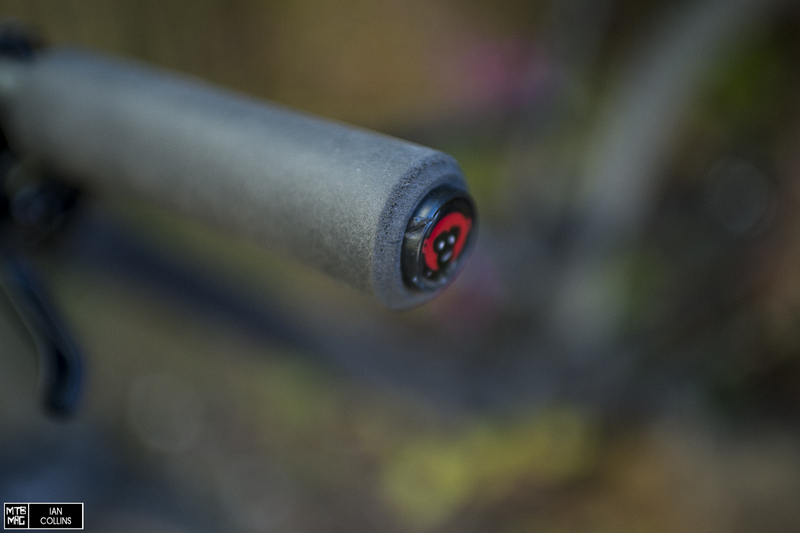 The outboard edge is tapered down and the grips are capped off with a plastic end plug to protect your bar. After a fairly painless install with an air compressor, the KÄRV grips set up and stayed put for the duration of my test, without needing hairspray or glue, which was nice…Anyhow, I’ve got to admit, once I pointed the bike downhill, I quickly realized that there is a reason that I typically gravitate toward thinner grips that are around 29mm. While the idea of a thick grip that takes the edge off certainly appeals, I just could not get used to how thick the 6.5mm KÄRVs were. Red Monkey also offer the KÄRV in a fairly thin 5mm (as well as a massive 9.5mm) and I’d probably have a better experience on them. That said, unless it’s a torrential downpour, I also ride gloveless – and thus, I quickly realized that foam grips all but require you to wear gloves. 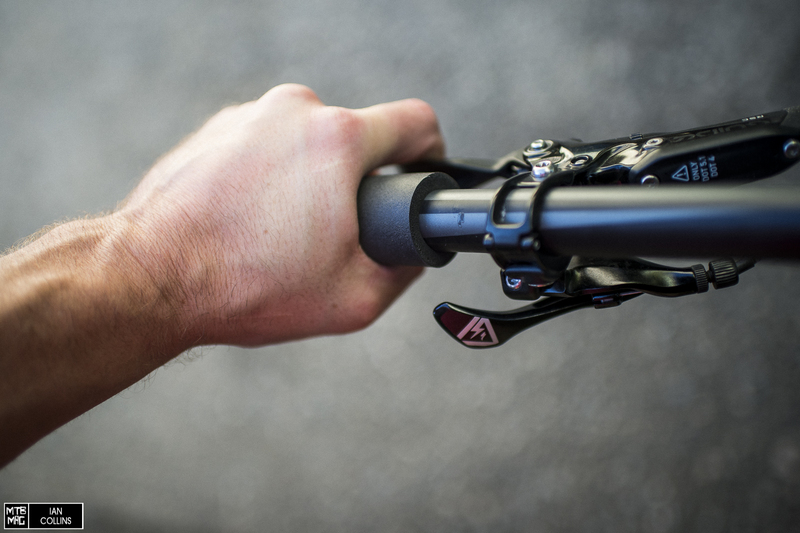 It only took just a little bit of sweat for my hands to start to lose traction, and thus, in all honesty – thick, foam grips aren’t my cup of tea altogether. Personal preference aside, I DO see the appeal and fully realize that plenty of people get along great with a) Foam grips and b) Thick grips. With all of that in mind, I still couldn’t help but notice that they did a fine job of taking the edge off of the vibrations that get transmitted to the bar, so in that sense, mission accomplished. I certainly can’t say anything negative about the actual quality of these grips. Admittedly, I didn’t ride them a ton, but they seemed to hold up fairly well and there wasn’t anything foretelling that that they wouldn’t wear well. 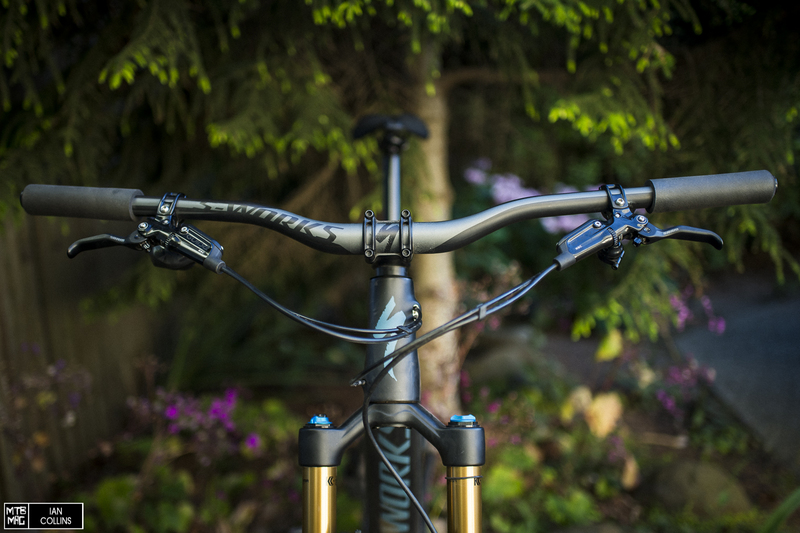 Like most contact points such as saddles and pedals, it mainly comes down to personal preference. If you wear gloves and prefer grips on the thicker side, these are definitely worth a look. Red Monkey also has you covered if you like foam grips, but want thicker, thinner, or even ergonomic grips.